What is the relationship of anthropology to medicine? Does anthropology enhance the persuasive power of biomedicine to win concrete benefits for patients? Or is applied anthropology simply a way for clinicians to flatten the complex social relations imbricated in an individual illness experience into an object more easily exploitable by the clinician, and thus broader society? I aim to probe this tension by means of a case study: a Mexican public health program called the servicio medico-social (SMS). In the 1930s, the SMS aimed to bring senior medical students into the rural countryside, serving as the town doctor for hamlets which may have never experienced biomedicine before. Part of these young students’ charge was to send regular reports back to Mexico City concerning the details of infectious disease in the region. But a critical element of these reports was also the detailed ethnographic pictures painted of a town’s customs, language, and beliefs. How was this information to serve the Mexican state’s larger public health—and ideological—endeavors? 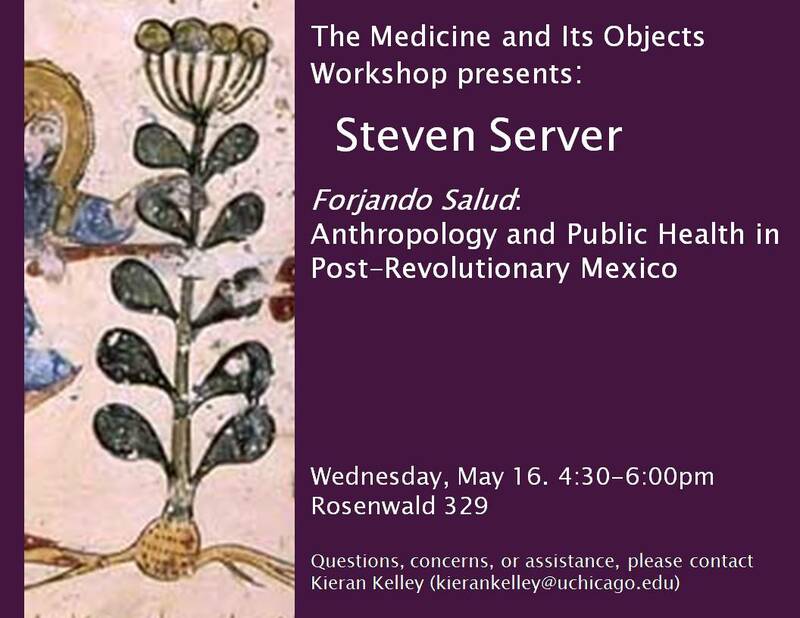 In this paper, I hope to use the SMS as a means by which to understand the mechanics of the Mexican alliance between anthropology and medicine, as well as the central role played by epistemology in advancing the centralizing, developmentalist goals of the post-Revolutionary state. To receive the paper, or if you have any questions or require assistance to attend, email the MaIOW coordinator: Kieran Kelley (kierankelley@uchicago.edu).